30 numerals that adhere with hook and loop tabs. 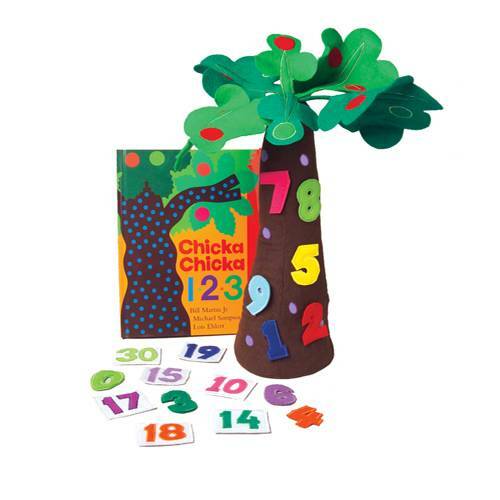 This rhyming climb up the tree is as easy as 1-2-3 with our freestanding, fabric tree and 30 numerals. Includes hardcover book of "Chicka Chicka 123". *The book is published by Simon and Schuster who does not manufacture or endorse the Prop Set.